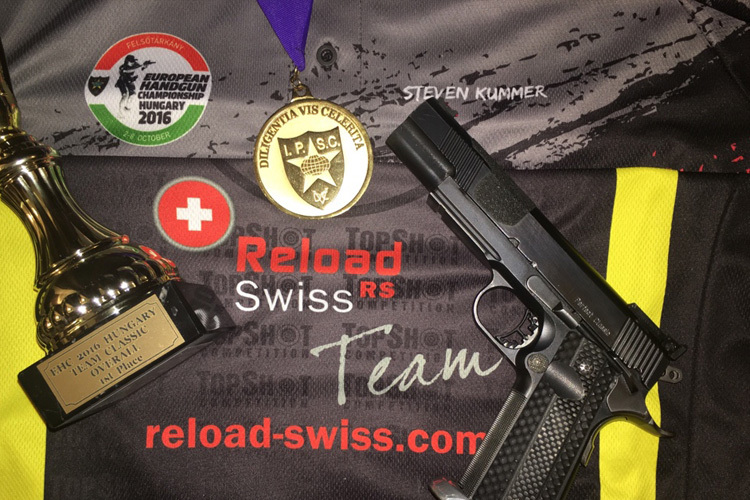 Seven gold, one silver, three bronze – the Reload Swiss RS shooters once again triumphed at the 2016 European Handgun Championship! The results also underscored how strongly this brand of Nitrochemie Wimmis AG for high-performance propellants has been adopted by top European shooters. The Reload Swiss RS medal-winners came from six nations. Team Germany Classic – Gregory Midgley, Marijan Loch, Patrick Kummer and Steven Kummer – took first place in the Team Classic division. These four shooters use the Reload Swiss products RS12 and FS24. 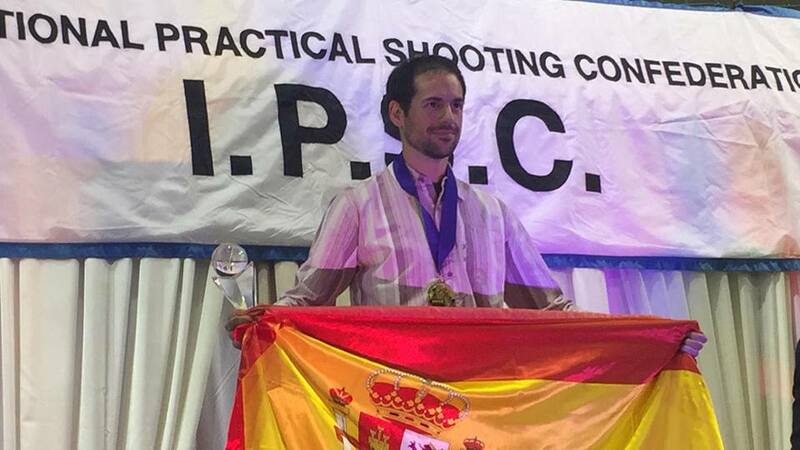 Spanish shooter Jorge Ballestros depends on RS24 as well. Ballestros won a gold medal in the Team Open division and another in the Open Overall category. Heribert “Betze” Bettermann was pleased with his first-place finish in the Production Super Seniors division and a bronze medal in the Team Production Seniors category. He puts his faith in RS12. The same is true for Austrian contender Gerald Reiter. He took first place both in the Team Revolver division as a member of the AUT Revolver team and in Revolver Overall as an individual shooter. 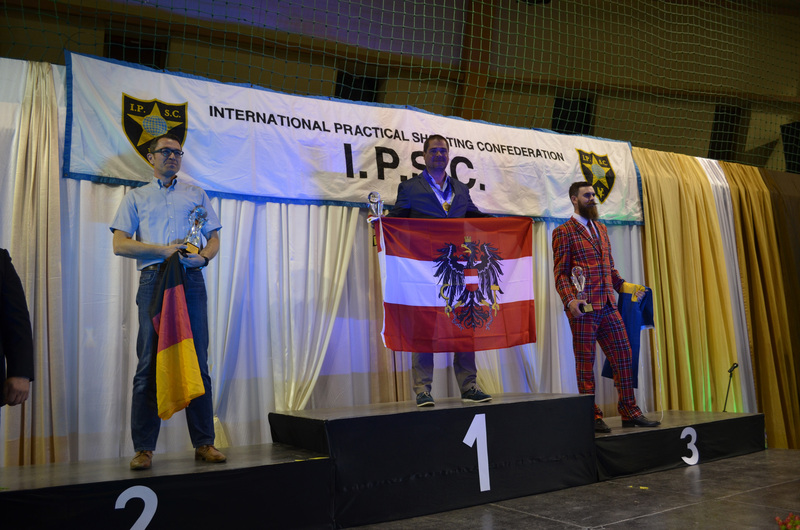 Sascha Back, another RS12 shooter, won the silver medal in Revolver Overall. Michel Nestolat from France won the bronze medal in the category Classic Seniors. Nestolat uses RS12 as well. 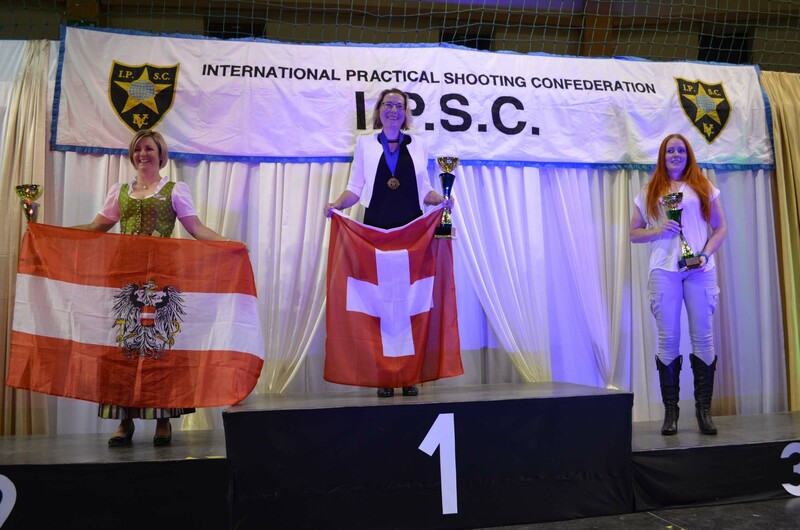 In the Standard Ladies category, Christine Burkhalter from Switzerland placed first, with Denmark’s Norah Josephsen finishing in third place – both using RS12. A high-performance distribution network throughout Europe makes for reliable availability. 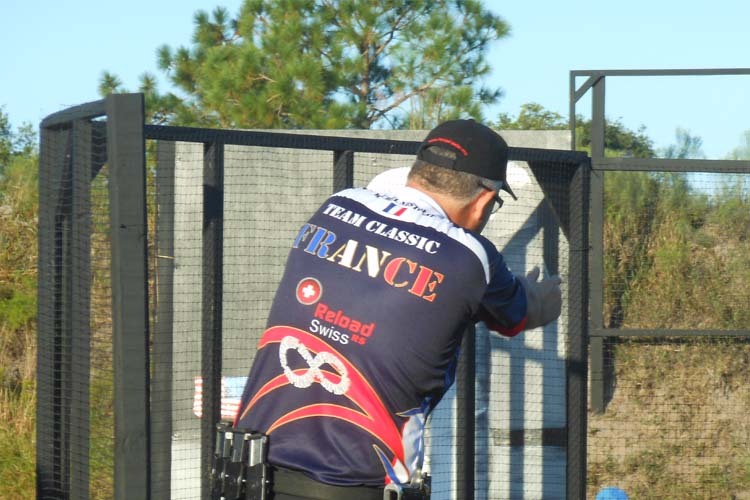 Reload Swiss RS products have already earned the confidence of some of the world’s top competitive marksmen. 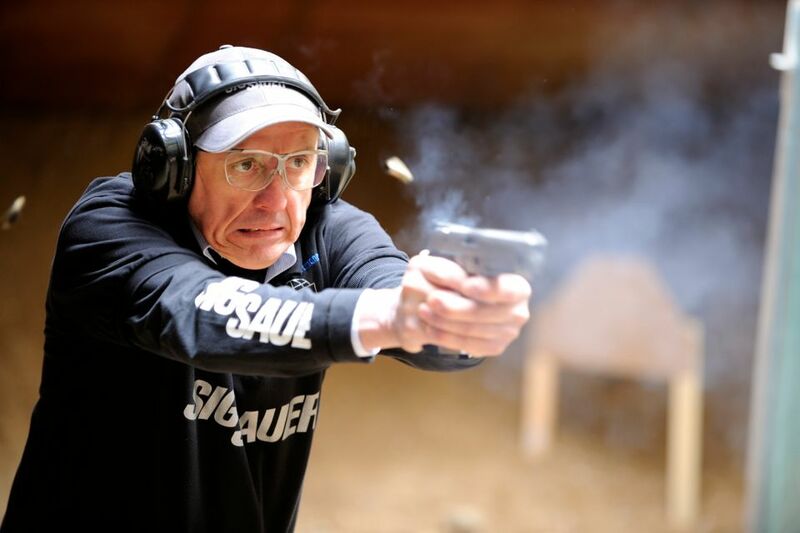 Swiss top shooters Dominic Meier and Christine Burkhalter, Peter Heller, Sascha Back, Reinhard “Hardy Lang” and Nils Nothnagel of Germany and Austrian contender Gerald Reiter are just some of the prominent shooters who depend on Reload Swiss RS. Renowned English long-range marksman Nigel Cole-Hawkins is also a member of the top shooters team. Additionally, the German company teams from Heckler&Koch and the Korth team have recently begun competing using Reload Swiss RS, as has the ZMA team from Denmark.